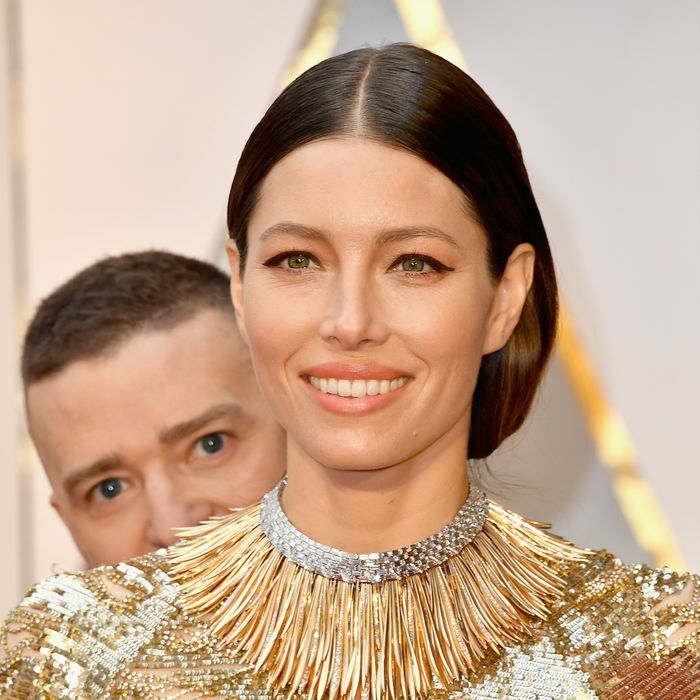 Before opening the Academy Awards with a performance of “Can’t Stop the Feeling” from Trolls that lasted for approximately an hour, Justin Timberlake walked the red carpet with his wife, Jessica Biel. The couple posed for photos, most of which were probably totally normal and fine, but that didn’t seem to be enough for JT. Instead, he decided to creep behind his wife for a few shots, posing for what would be the first of many meme-worthy moments throughout the evening. Later on in the night, Timberlake pulled a similar stunt with Emma Stone. Luckily for him, she also seemed to be a pretty good sport about discovering the singer’s wide-mouthed face popping up behind hers. He seems to be taking that whole Trolls thing maybe a little too literally.